A recent poll conducted by Reuters finds that experts expect the Canadian dollar will fall, but then stabilize within 12 months, reports the Financial Post. The survey polled more than 50 foreign exchange strategists. Currently, the Canadian dollar trades at $1.35 to the U.S. dollar, or $0.74 U.S. to the Canadian dollar. In the short term, the dollar is expected to dip slightly to $1.36 per U.S. dollar before stabilizing back at $1.35, according to the Reuters poll. Globally, the Canadian dollar is the weakest of the G10 currencies. The Financial Post says the dollar’s poor performance is due to low oil prices, the uncertainty surrounding the Canadian housing market and the potential for the renegotiation of the North American Free Trade Agreement. Despite a warning from the International Monetary Fund regarding the dangers of restricting the money supply, poll respondents said they believe that the Bank of Canada is getting ready to do just that in order to offset both the growth of the Canadian economy and the pressure that comes from being expected to match the U.S. Federal Reserves’ interest rate increases. A strategist from CIBC Capital Markets said that he expects a Canadian interest rate hike from 0.5 per cent to 1 per cent in the first half of 2018. 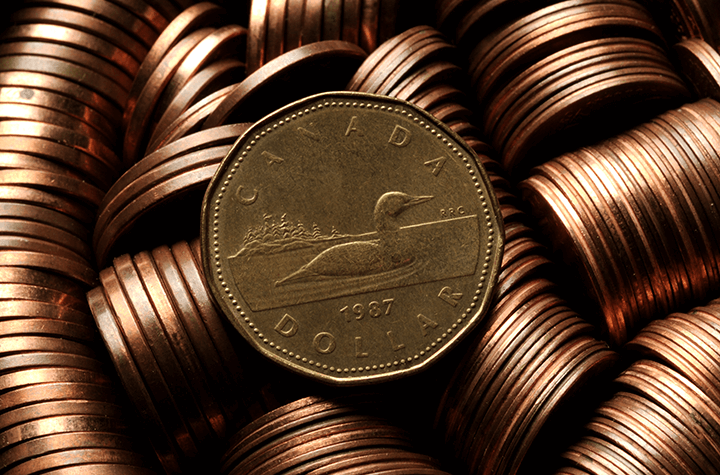 A senior economist at Desjardins said the Bank of Canada is preparing for an interest rate increase in Canada, which makes him optimistic that the Canadian dollar will get stronger by the end of 2017. Earlier this week, Statistics Canada released information on the Canadian economy. The data showed that the Canadian real gross domestic product grew at an annualized rate of 3.7 per cent in the first quarter of 2017, and by 0.5 per cent in March alone. This was the economy’s third consecutive quarter of growth.